Gorgeous!! I love black and white portraiture, and this picture is so sweet. Sweet picture. It reminds me of the time my sister and I opened a tea room for little girls, teaching them etiquette in a fun way. This was back in 2001. Part of the party package included portraits. Before the party started, the girls would dress up in costumes we provided, mostly prom type dresses we found at Good Will. The loved it. It got so popular that we had to open a room up a tea room next to the little girls tea room so we could keep the mothers out, LOL. That is just awesome. What a fun concept!! Did your daughter get to partake, too? I didn’t have a very girly girl, but I could wrangle her and her stuffed animals up from time to time and have us a tea party! Loved that you sequestered the moms!! 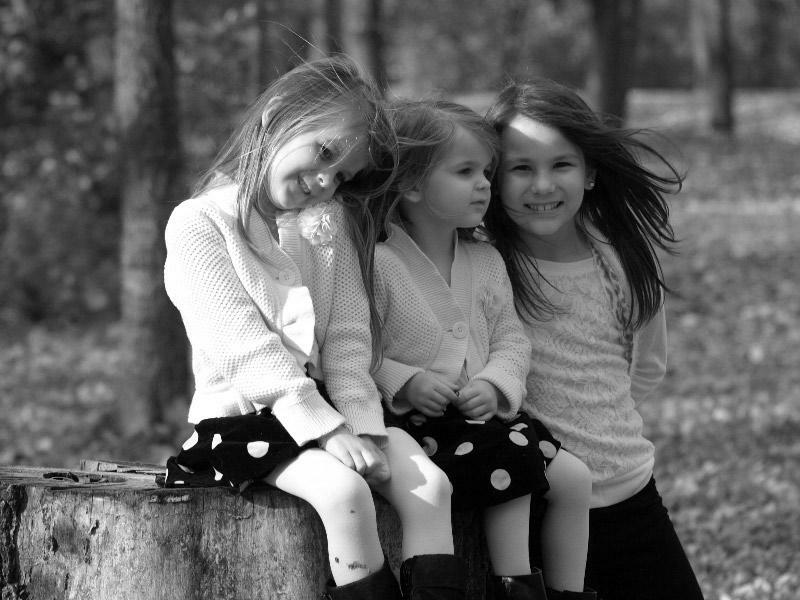 Thanks for stopping by–these are three sweet little young ladies!